How do I Sell my Home Privately In Brisbane? We understand why you might be thinking about it and asking for advice. In fact, we’re so pleased you’re asking the question. Because that’s where we were at some years ago. As a Brisbane Couple looking to pocket a few extra dollars for the sale of our home, we asked the same question. We were gob-smacked at the eye-watering commission cheques QLD Real Estate Agents were demanding for the privilege of selling our home. At first we were a bit nervous about selling without an agent, however with the confidence of youth, and the sheer necessity to not make a loss on our first renovation project, we took a leap of faith. Well, it was a steep learning curve and we made many rookie mistakes that we will never make again, but we got there. Over the years, we’ve refined and tweaked our processes and sold our Brisbane homes privately again and again. We’re so passionate about it that we’ve helped friends and family, and now clients do the same. We are specialists in answering your question “How do I sell my home privately in Brisbane, QLD” and below include a discussion on the process to follow; the risks involved; how to mitigate these risks, and where to go for further help and advice. We hope it helps you on the road to pocketing tens of thousands of dollars extra. What are the risks selling my home privately in Brisbane, QLD? There is a recipe or formula for selling any property successfully and this formula doesn’t care who follows it or how much you pay for it. Real estate agents are certainly not the only people who know this recipe. If you’ve never done something before, like selling your Brisbane home privately, it’s reasonable that you will have concerns about what to do and what steps to follow. You need to consider Preparation, Presentation, Pricing, Promotion, Negotiation, and Settlement. No Real Estate Agent will ever publish this, but we’ve documented the 7-step process for selling your Brisbane home for top dollar. You can keep this for free as your own personal check-list so you never skip a step (you’re welcome). Demand for property in Brisbane is excellent so there are not many properties that spend too much time on the market for long unless the above mentioned recipe hasn’t been followed. Also – we believe no property is ever ‘sold’ – even by the most skilled Real Estate Agents – click on the link to read more if you’re interested to find out why. To summarise the reasons why your Brisbane property may not sell, check out these steps below. Have you prepared your home properly? Have you fixed or repaired any issues that could put a buyer off selling your home like mould, leaky taps, termite damage, or an unfenced pool, for example. You don’t want to skim over any underlying issues in your home that a buyer’s building inspection could pick up later. Much better to get on the front foot and get these fixed in a timely manner, before putting your property on the market. Do you have a realistic price? It is always important to get an independent perspective on what your home is worth because you are probably emotionally invested in the price of your home. Even the Queensland Government recommends this step when you are selling your Brisbane home privately. We offer a Brisbane Property Analysis report that will do just that. If you’re interested give us a call. The Analysis is tailored to your home and suburb. It is based on Core Logic RP Data, an understanding of your specific property, and research on the current market that you’re selling in (i.e. particulars about your Brisbane Suburb). Have you made the effort with presentation? Real Estate agents rarely give more advice on this than ‘declutter’ and ‘keep it simple’. And got rid of all those cool little ornaments? Watching any property show on ‘before’ and ‘after’ shots renovating homes will give you an idea. However you’ll probably find you want more specific advice than that. 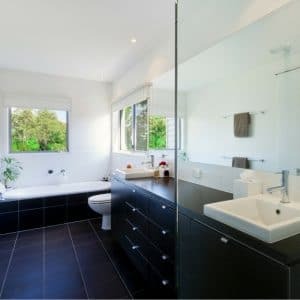 As well as our years of experience presenting Brisbane Homes for sale, we can recommend some great Brisbane Stylists who help make your home look like a million dollars. It’s totally worth it if you’re looking to sell your home for the highest price possible. Just give us a call and we’d be happy to share our information with you. Did you know you also get $3 back on every $1 invested in renovations or home improvements if you do them cleverly? We would be happy to come over and walk through your home to share our years of experience on what specifically you should be spending your money on to get your best return when it comes to home improvements or renovations. Have you promoted your Brisbane home the right way through the right channels? It’s important you identify your target buyer and market directly to them, rather than just giving everyone an unfiltered list of all the benefits of your home. For example is that spare room a study? A Baby’s room? A Spare Bedroom? Is the 2nd lounge a ‘cosy retreat’, a study, or a teenagers playroom? Another reason you might not be selling your Brisbane home is because you haven’t used all the right channels. We get asked a lot about where and how to advertise. People ask us ‘How do I list my home on Domain or Realestate.com.au?’ or ‘D o I need a sign outside my home? 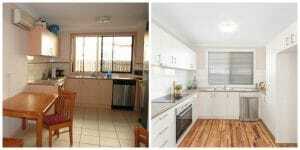 Have you got a professional photographer to take photos of your home. You really must! Call us if you need some recommendations on affordable property photographers in the Brisbane area who not only do a fantastic job but have a fast turnaround. You want to make sure you choose the right photos to attract your target buyer. Listing online. Yes, you must do it. It’s pretty simple. It can be SO much cheaper than your Real Estate Agent is going to charge you in marketing costs. If you use our services, we pass on our negotiated rates to you (which are much cheaper than a Real Estate Agent or doing it yourself) as well as come up with your marketing strategy to target the ideal buyer, write the ad and put it up online for you. A sign outside your home. In most cases, yes. While it may seem a bit old-fashioned to some, putting a board up outside of your home that advertises your property with beautiful photos (as opposed to advertising your Real Estate Agent’s face and company) is a positive thing. You may attract buyers interested in the area who didn’t realise how great your home was on the inside. Local word of mouth can be priceless and mean the difference in how much your home sells for. Did your private house sale fall through because of this step? Most home buyers have decided whether they want to buy your property or not by this stage, and it is unusual to fall down in this stage if you have got your pricing right (see the above information on Pricing). However when you sell your own Brisbane home, it is the step our clients get most nervous about. They are worried about getting this wrong. When we share with them our templates and negotiation strategies, they become very comfortable with the process. Sometimes you just need someone to show you what to do once, and then you’re all good. If that’s you – we might be a good fit to work together. It’s also good to recognise that no Real Estate Agent training involves this crucial step. Here we expand on 5 reasons you must never let a Real Estate Agent negotiate for you. You may be shocked to read some of the points in here! It is rare for a property sale to crash after the contract is signed, but it does happen. This can be because of financial issues, or even a building inspection report. If you’ve followed all the steps in our proven process, answering the question for you on ‘How do I sell my Brisbane Home Privately’? you should be able to avoid this by selecting the right buyer for your home; and covering off any unexpected building inspection snags right up front in the preparation of your home. 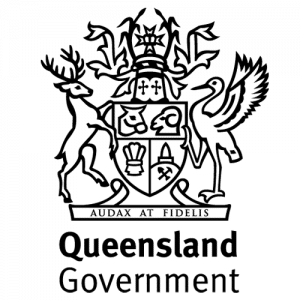 The Queensland Government publishes a page on legally what you should do to sell your home in QLD. We think this is a bit light-on in terms of giving you advice. However the reality is, a Real Estate Agent will never be responsible for the legal paperwork of selling your home and they are not qualified in this discipline. Nor will they be responsible for managing the process of financial transfer between your banks. This is the job of a specialised solicitor or conveyancer. Whether you use a Real Estate Agent or sell your Brisbane home privately, you will need to use a solicitor or conveyancer and pay separately for their services. The solicitor or conveyancer’s role is to manage the risk of you getting taken to the cleaners by a buyer. They manage all the fine-print legal documents involved in the sale of your home; and they will also be responsible for holding deposits and doing due diligence on the financials between the buyer and sellers’ banks. Therefore even when you sell your Brisbane home privately, you are at no greater risk of being ripped off by a buyer than you are with a Real Estate Agent. So the responsibility for this step is not with you, never with a Real Estate Agent, but always with an independent 3rd party solicitor or conveyancer. This process does not change whether you sell privately or with an Agent. If you’d like advice on some reputable solicitors or conveyancers in Brisbane, please give us a call – we’d be happy to assist. Next Steps: How do I Sell my Home Privately In Brisbane? Is this all sounding a bit too hard? It can be daunting if you’ve never done it before. r pay Real Estate Commissions ever again! Once you’ve sold your home without paying a Real Estate Agent, you’ll wonder why everyone doesn’t do it 100% of the time! The first step in the proven recipe should be your next step. This is getting an independent view on what you might expect your property should sell for. Call us to claim your free property analysis report on what your Brisbane home might sell for. You will also get advice on what you could do to sell your home for top dollar (and where and how much to spend on those all-important investment renovations!). How do I prepare my home for inspection?